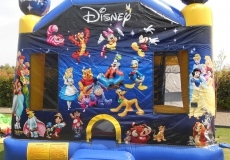 Enjoy the Wonderful World of Disney with the fantastic World Of Disney Combo Castle. Let the little ones explore the World of Disney with Mickey, Minnie, Winnie the Pooh and more! 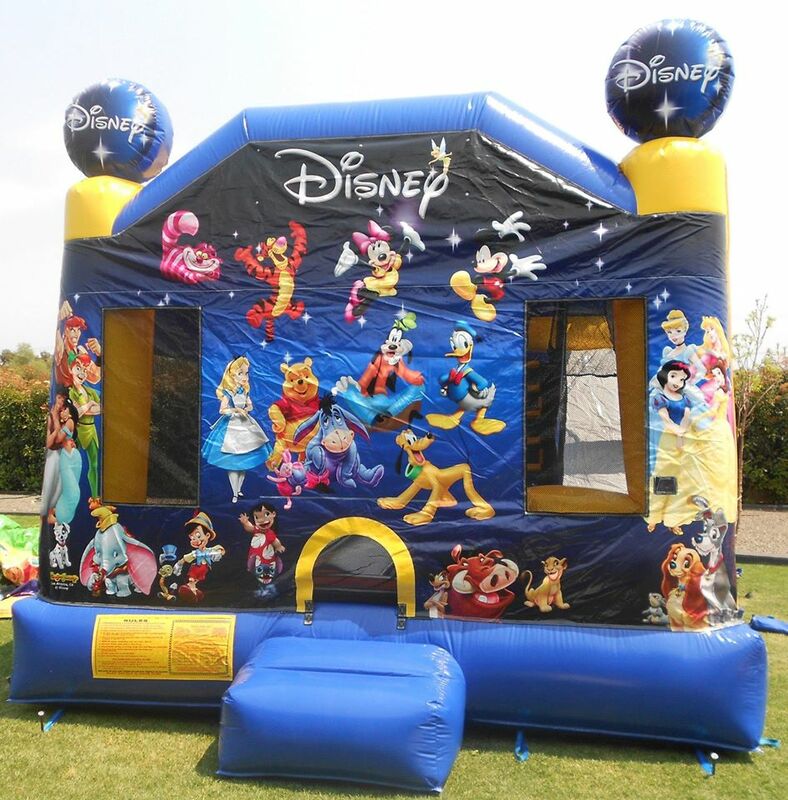 Fill the day with Disney fun on birthdays, community days, or corporate events – what a fantastic way to celebrate the day! 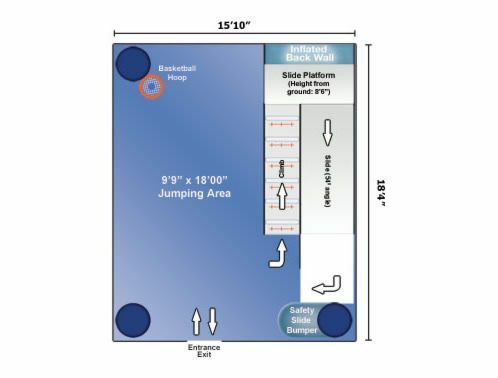 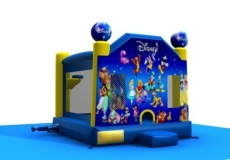 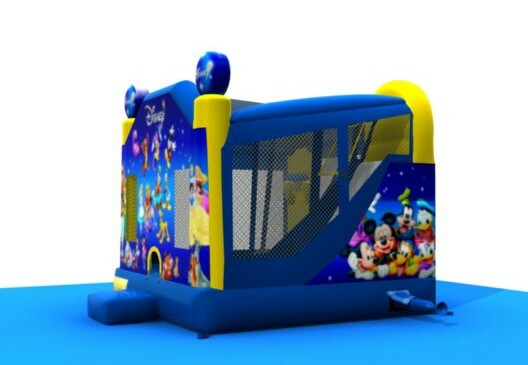 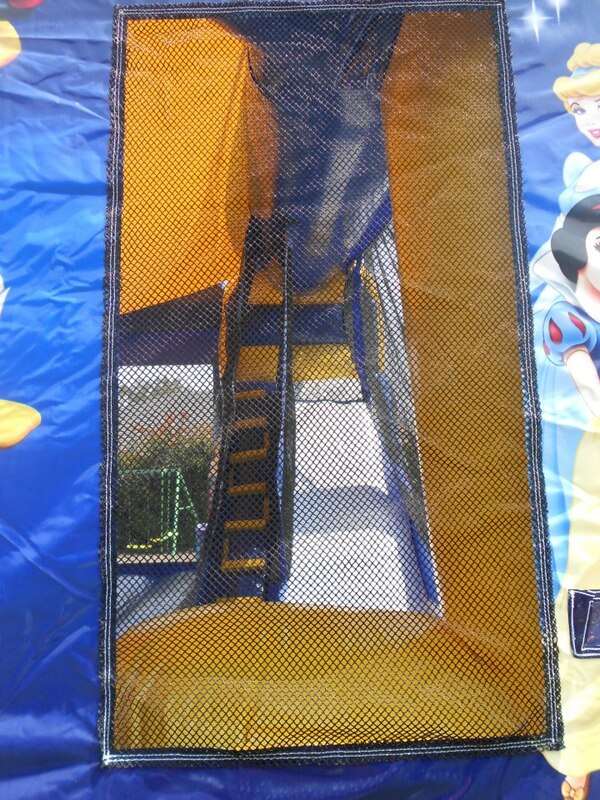 The World of Disney Jumping Castle Combo has a jumping area, inflated climbing wall, slide and basketball hoop. 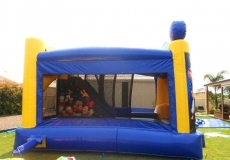 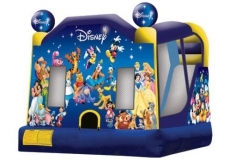 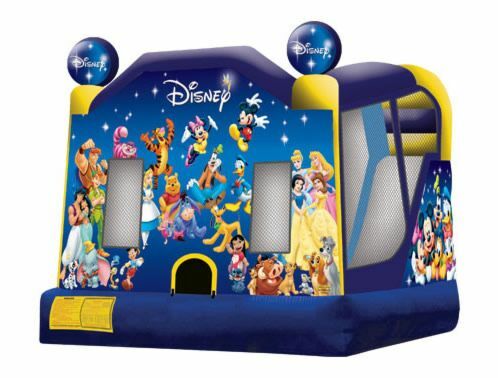 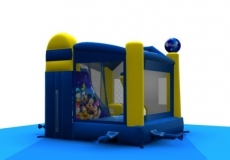 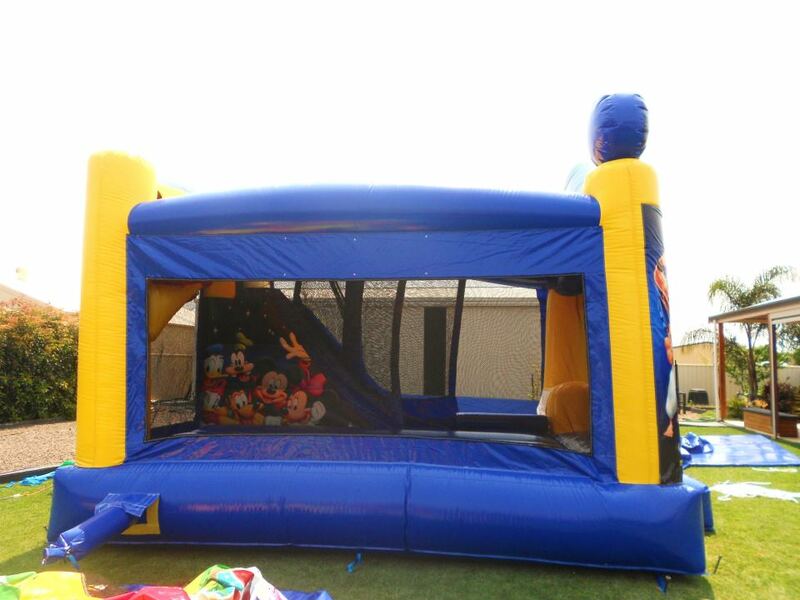 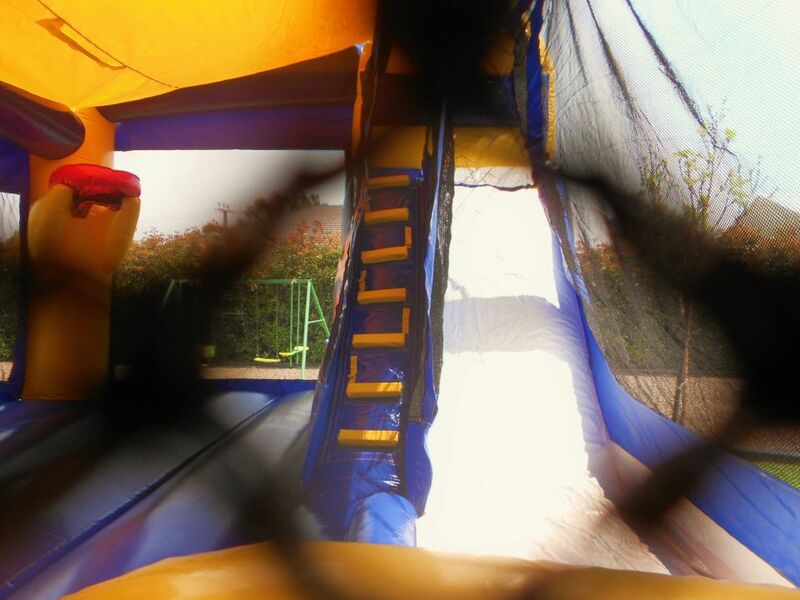 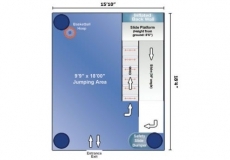 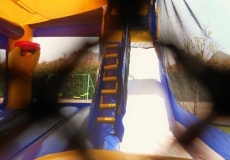 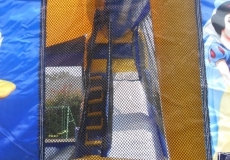 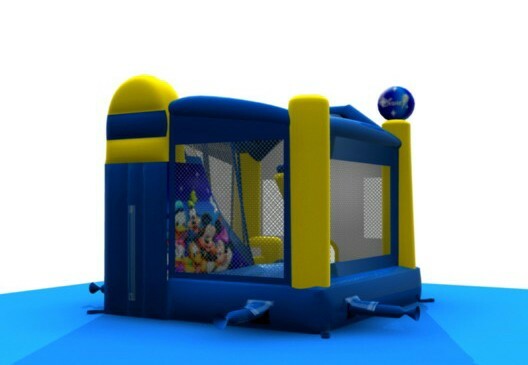 This jumping castle can also be used wet (additional $60).